The outcomes of the Libyan economic reform plan are being assessed in a series of meetings that kicked off Thursday in Tunisia. The meetings are attended by the Governor of the Central Bank of Libya Governor Sadiq al-Kabir, Chairman of the National Oil Corporation (NOC) Mustafa Sanalla, U.S. Ambassador to Libya Peter W. Bodde, and many other Libyan and international officials. Held under the sponsorship of the United Nations (UN), the meetings aim to tackle the outcomes achieved by the economic reforms that have been adopted in Libya since September. The economic reform plan was agreed was finally agreed on by the Libyan parties at the Libya Economic Dialogue meeting held in Tunisia on June 5, 2018. That was the eight issue of such dialogue, organized to set a unified economic plan for Libya. The meeting was organized by the US embassy to Libya and attended by then US Chargé d’Affaires Stephanie Williams. The meeting set four main economic measures to be applied in July 2018, designed to ease pressure on the state and help alleviate the economic burden on Libyan citizens, especially the poor. 1) The reduction of subsidies on fuel and increasing its price from the current LD 0.15 per liter. 3) The reactivation of the child allowance, which has been frozen due to lack of state funds. 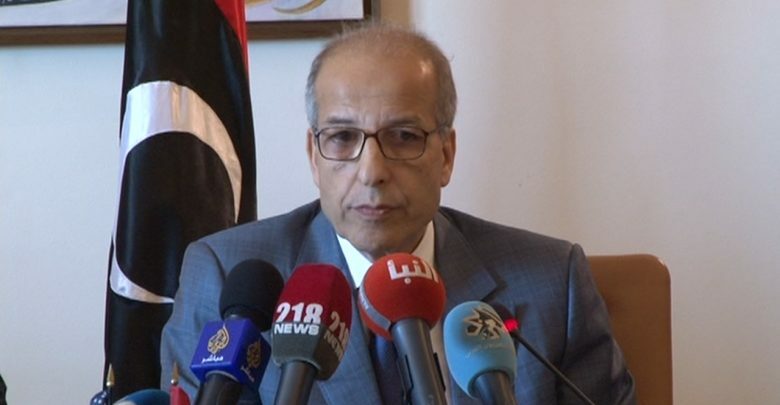 The three-tracked framework include resolving the Libyan dinar exchange rate issue through imposing fees on foreign currency sales and transfers, reforming subsidies and establishing a compensation mechanism to alleviate the pressure and the effects of the economic reform on the livelihood of Libyan citizens.